Buffer and Hootsuite are two of the best social media apps available. 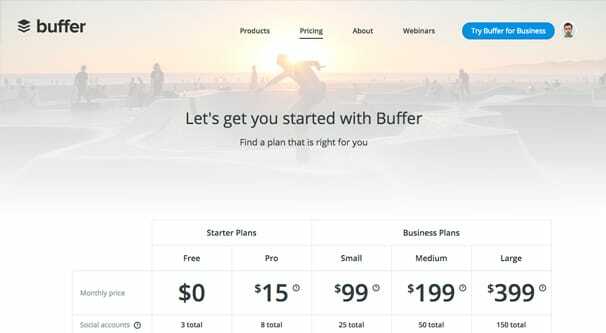 However, since Buffer is somewhat limited in its free plan, and Hootsuite can get annoying with its cajoling you to upgrade, I can fully understand why anyone might want to change. I’ve compiled a list of 25 different alternatives, either non-time-limited free plans for paid apps or completely free tools, that you can use as a replacement. It’s up to you to decide if they look good enough to switch. 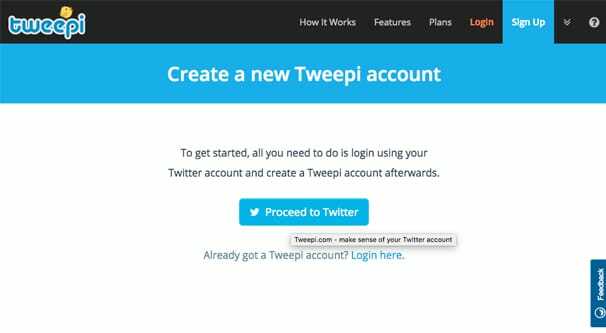 Owned by Twitter, this once-third-party app has a handful of features for Twitter management and is completely free. You can divide your Twitter flow up into multiple feeds, including feeds for DMs and notifications. You can schedule tweets, though you don’t have many advanced options for scheduling or curation. All in all, it’s a simple power user platform for Twitter that the default Twitter experience lacks. Give your social media management a little oomph. The free version of this app allows tweet scheduling, keyword tracking, URL shortening, and access for up to five Twitter accounts at once. Unfortunately, all of the Facebook, Pinterest, LinkedIn, Plurk, RSS, and email features, as well as the advanced scheduling and publishing options, are all locked behind the professional version. It’s only about $18 per month, but that’s not free, so I’m not going to recommend it in a post about free alternatives. This one is a slightly lesser known name – I hadn’t come across it before – but it has a decent free plan. The free plan allows you up to two destinations, with a destination being a specific social media account, with up to five posts scheduled per destination at a time. It works with Google Plus, Facebook, LinkedIn, Tumblr, and Twitter, with Pinterest as an additional paid feature. It also has a browser extension, mobile app, desktop app, and integration with Zapier. Overall, it’s a solid little app for some minor scheduling needs. Zoho is aimed at agency level usage, but has a free plan that works for one brand, for one team member. It only does publishing, none of their advanced tools, and has limited options for scheduling, with no access to the bulk scheduler or publication calendar. I can’t really recommend it, but it exists as a gateway into their higher tier offerings, if those interest you. This automation platform is essentially an engine for cross-posting automatically, similar to any RSS-to-social automatic posting. 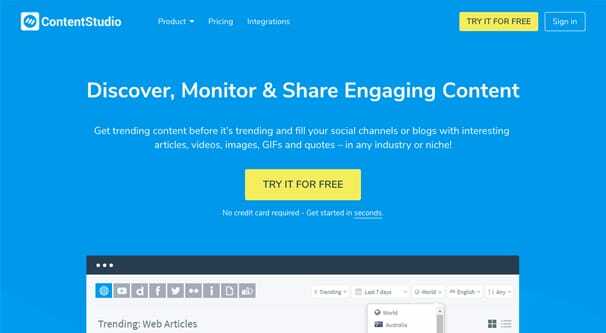 The free version is limited to one account per social network, but covers Facebook, Twitter, Google Plus, VK, LinkedIn, Pinterest, Instagram, Flickr, Medium, Tumblr, and a handful of others. Obviously you don’t get a lot of their advanced features, but the basic level is all you need for basic promotion. The free version of this app includes two social media accounts, but does not hook into blogs for automatic blog posting. You get a cap of 500 social media posts per month, which is more than you should need for two accounts, and you’re limited in their searches through their content library, but that’s fine. For basic scheduling and curation needs, their free plan is more than enough for most individuals and small businesses. Put some pep in your step. This app has a free version that works with Facebook, Twitter, and LinkedIn. It gives you up to three total social media profiles and can post to both profiles and post timelines. You get a URL shortener, support for videos and gifs, scheduling options, and link previews. The only caveat is that their cap is rather low, with a meager 20 posts per month. I’m not sure if that’s per account or per plan, but I guess per plan based on their wording on the pricing page. This is a fairly useful little tool I hadn’t seen recommended before. The free version works with Twitter, Facebook, LinkedIn, and some limited features for Instagram. Unfortunately, you can only use two of those at a time with their free plan. They proof your content and show scheduled content in an editorial calendar, which is usually an advanced feature. You have unlimited scheduled posts, and can set up 50 of them to be reusable if you want to repost your own content several times. Quite robust for a free plan, all things considered. ShareToAll is a very simple but completely free tool, powered by donations to its Patreon account. If you ever wondered how much a tool like this makes on donations, well, uh… it’s zero, he’s making zero right now. Still, even though the app is very basic, it’s a one-button share to as many connected social networks as you want, which isn’t a bad deal. The only downside is that it doesn’t have any advanced options, it just posts when you hit the button. That, and the fact that it’s making zero money means it might fold at any time. 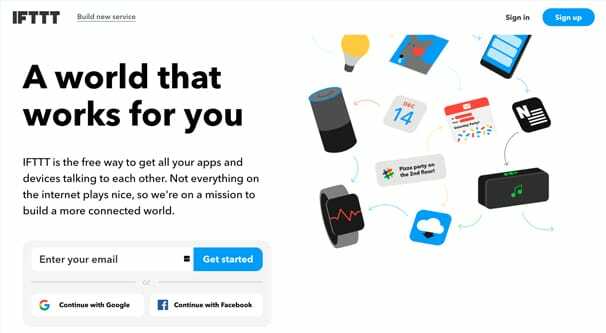 IFTTT is an automation engine that has various triggers and results you can set up as recipes. For example, you can have it monitor your RSS feed and, when you make a new blog post, have that automatically post on your social media accounts. The list of triggers and events is fairly limited, but you can set up a lot of basic automation for free using the platform. You can mock up multi-stage recipes with interaction between each step to trigger the next one if you’re patient, too. Zapier is a close competitor to IFTTT, doing many of the same things, but with some actions and triggers gated behind a paywall. Paying for a plan also allows you to make multi-step automation tracks and access to some more advanced triggers and actions. Still, you have a lot of flexibility with the free version, and can do a lot of what you might want to with a scheduler. I included a Twitter-specific scheduling tool, so why not a few other specific network tools? 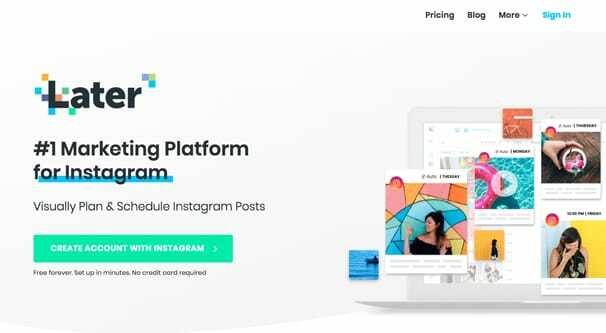 Later is one of the first and most useful of the Instagram scheduling tools. Also, since it’s one of the first of the new Instagram marketing partners, you can actually post through the app, rather than needing some goofy workaround. Also, it’s not actually limited to Instagram these days. The free version works for IG, as well as Twitter, Facebook, and Pinterest. You have a cap on posts for each, but it’s still enough to do at least one post per day. Automate is another IFTTT/Zapier alternative. Rather than limiting you to one-step actions, you are simply limited to a total of five “bots”, with each bot being a workflow. Bots run once every five minutes, and you have access to all of their generic apps. Generic apps include services like Podio, Gmail, Trello, Slack, Dropbox, Twitter, Facebook, and a couple dozen more. In comparison there are only a handful of premium apps, usually e-commerce related. Mav is a power player with some high utility business options, but they also have a free plan. The free plan only works with Facebook and Twitter, and is limited to two social profiles and 10 total posts per day. On the plus side, you still gain access to their digital library features, campaign planner and calendar, stock image library, and chrome extension. This is a one-trick Instagram post scheduler. They aren’t a marketing partner and they violate Instagram policy by using –gram in their name, so I’d be a little cautious about digging too deep into using this platform or relying on it too heavily. Still, it exists and it works, so if all you want is basic Instagram scheduling, you could do worse. 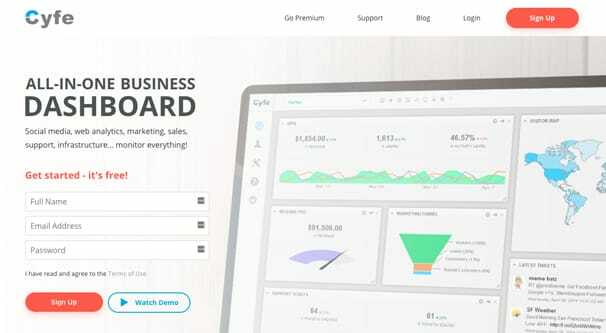 Another Zapier-like app, this one is firmly aimed at enterprise and corporate-level usage, but has a “self-starter” plan that clocks in as free. It only allows two connections and is limited in the apps it can access, and it has basically zero other features, but if you don’t find what you want with the other options, this one works fine. Just be aware that the cheapest paid upgrade bumps you to a whopping $250 per month. Another of the automation platforms, this one has a couple hundred different apps and some free-form data processing that all works together to give you quite a bit of access to various options. You’re limited in operations per month and a low data transfer cap for the free version, but you don’t need much of either for social media posting. A bit of a clunky solution, but it works if it’s what you want. Cyfe isn’t strictly a social media scheduling tool. It’s more of an analytics tool, but it can be of great help in your scheduling because it tells you what content does best on what platforms, and when you should be posting to capture the most attention. There’s a ton more data available too, and the introductory version is free. Hubspot’s CRM is more than just social media, it kind of takes over as much of your marketing as you let it. 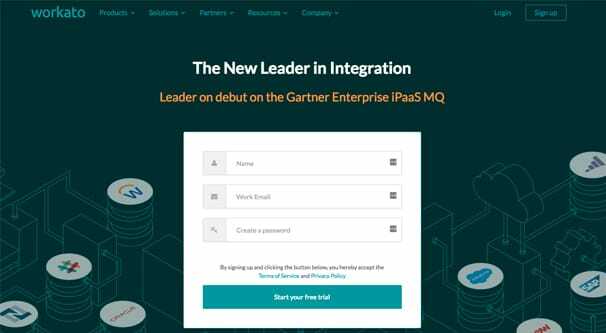 IT can manage contacts, company records, email, tasks, leads, and a whole lot more. The free version is free forever, but they’ll certainly try to upsell you on their other various apps that certainly aren’t. This tool is focused entirely on Twitter and doesn’t do a lot in the way of posting, but has a handful of other nice management features, including follower management and tweet cleanup options. Their free version is pretty buried, so I linked directly to it rather than their landing page. This one allows you to connect a single lonesome channel for free, with no group management, but curates up to three source feeds. You can schedule up to ten posts at a time, which buys you a few days to build up your queue. It’s free monetarily, though you do have to pay with a tweet promoting them. That’s not too bad, though. This one has a free platform that is open to unlimited social profiles, but limited to ten posts per day. You can schedule posts, get email reports on their performance, and handle some categorization and post management behind the scenes. Formerly LaterBro, they decided to update their branding for something that targets marketers rather than frat kids. The free version can hook into one of each of Facebook, Twitter, and LinkedIn, with one RSS feed showing the latest two posts. A cap of 10 concurrent scheduled posts is the final limitation, but at least the full version is only $7 per month. There’s a dearth of any more good tools I can find, so I’m cheating a bit here. 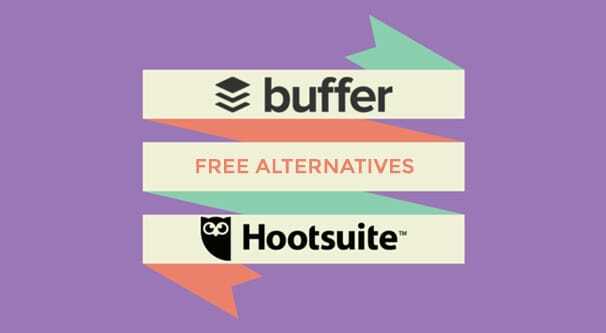 Buffer is an alternative to Hootsuite, after all! 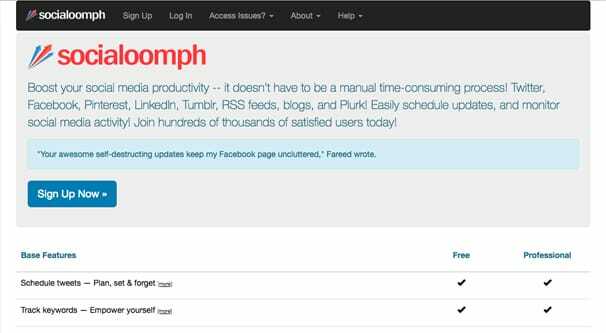 The free version lets you manage three social accounts, schedule up to ten posts at a time, and works for Twitter, Facebook, LinkedIn, Google Plus, and Instagram. Since they’re an Instagram partner, they can post directly without any workarounds. Hootsuite is an alternative to Buffer, so it counts! I’ve seen people mention that they had trouble finding the Free version of Hootsuite, so here’s a direct link. It’s still limited, but at least they have a lot of paths to upgrade for relatively low costs. 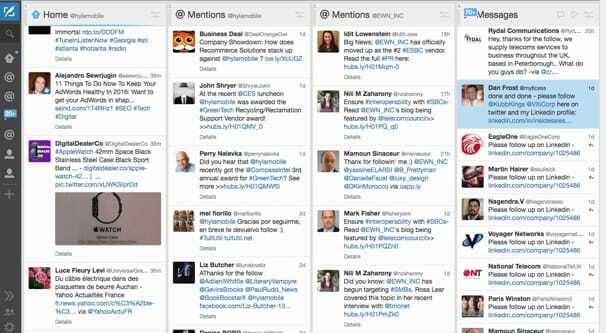 What is The Best Tweet Post Scheduling Service for Twitter? Only a few of these have a free option, the rest just have a free trial. Do you have any more free examples that aren’t a free trial? Hi Jinxy, Could you please let me know the options which are totally free. thanks. Hey Syed! Most of these options have a free plan (no free trial, free for life). You’ll find most services that have a free plan also have some paid plans with higher limits and more features, and it’s pretty hard to find a company that is completely free with no paid upgrades. I hope this helps!